The decades between 1660 and 1700 were a time of vigorous questioning, momentous political experiment, and exhilarating change in England. 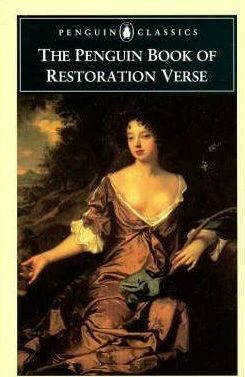 This comprehensive volume of Restoration poetry is organized by themes ranging from libertines to moralists and visionaries, from poems of love to poems honoring the dead. There are translations of the classics as well as works that were considered shockingly indecent. Writings by such well-known poets as Milton, Dryden, Marvell, and Aphra Behn are included, along with selections by less familiar authors. This anthology reflects recent developments in Restoration scholarship and features many works by women poets, as well as much verse from the subversive scribal tradition. Biographical notes on each poet are also included.